Joseph P. Hoppesch was born in Oak Park, Illinois in 1943. He graduated from SIUC with a B.A. in Chemistry in 1965, and after a brief graduate study in chemistry, migrated to Chicago where he did graduate work in business and taught gas chromatography and mass spectrometry to chemistry graduate students at Loyola and Roosevelt Universities. His industrial career consisted of a twenty-year stint at Borg-Warner Research (1967-87), where he pursued various analytical incentives and rose through the ranks from Chemist to Scientist. Then, after one-year at Waste Management as Manager of the Analytical Laboratory, he moved to Baxter Healthcare, where he has risen from Research Chemist thorough Senior Research Chemist, Manager of the Physical and Chemical Sciences Division, Director of Scientific Affairs, Director of the Center for Physical and Chemical Sciences, and since December 1997, Vice-President for the Center for Physical and Chemical Sciences of the Corporate Research & Technical Services Division. Joseph Hoppesch has several scientific publication and twenty U.S. patents. One of his patents, U.S. 3,877,291 received the IR-100 Award for the development of the first hand-held portable breath analyzer and was specifically recognized by the U.S. Patent Office on Inventor's Day in Arlington, Virginia. Additionally, he has received five awards for innovative technical prowess from Baxter Healthcare, the I.V. Systems Technical Award for "Total Organic Carbon Analysis", and has been recognized by the National University Continuing Education Association. He is a member of the American Chemical Society, AOAC International, American Society of Mass Spectrometry, the M-C-M Mass Spectrometry Discussion Group, Sigma Xi, Analytical Laboratory Managers Association, Research Director's Association of Chicago, and is past-President of the Chicago Chromatography Discussion Group as well as serving on their Governing Board. 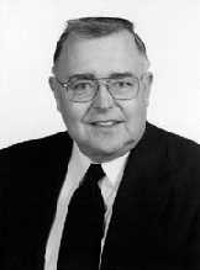 Joseph P. Hoppesch was the recipient of the 1999 SIUC Alumni Achievement Award.